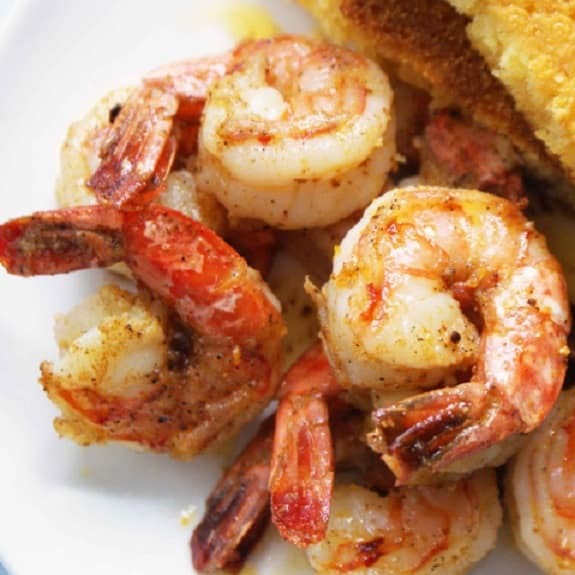 Island pan-barbecued shrimp. 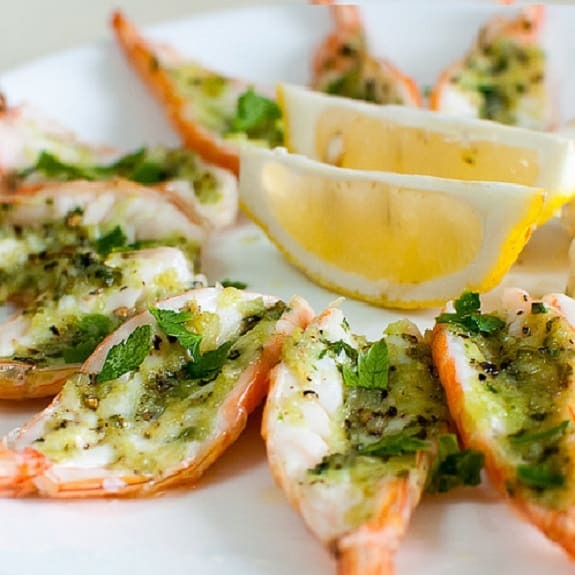 Very easy and delicious shrimp recipe. 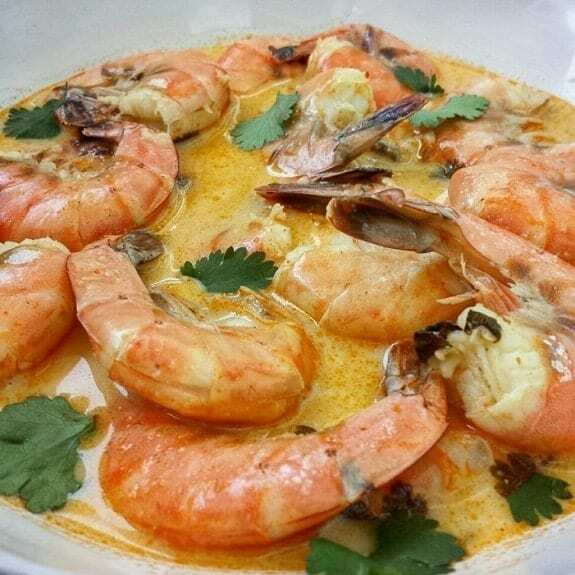 In a large mixing bowl, combine shrimp, olive oil, garlic, rosemary, thyme, peppers, and salt. 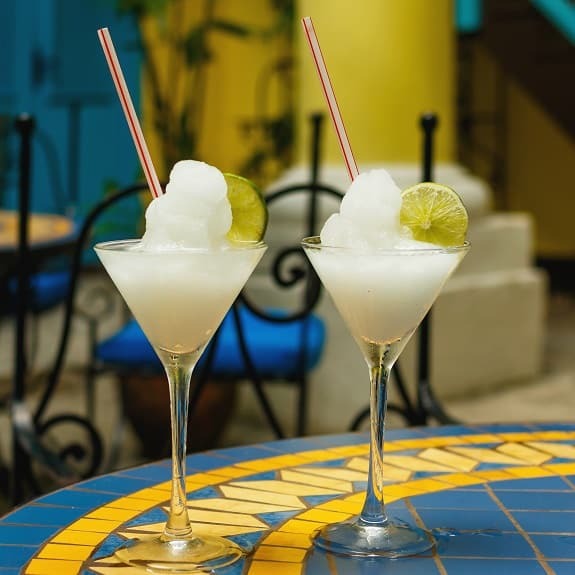 Stir well set aside and let marinate at room temperature for 1 hour. Heat a dry nonstick skillet over medium-high heat until hot. Add marinated shrimp and cook, turning once, for 5-10 minutes. They should be just cooked through. 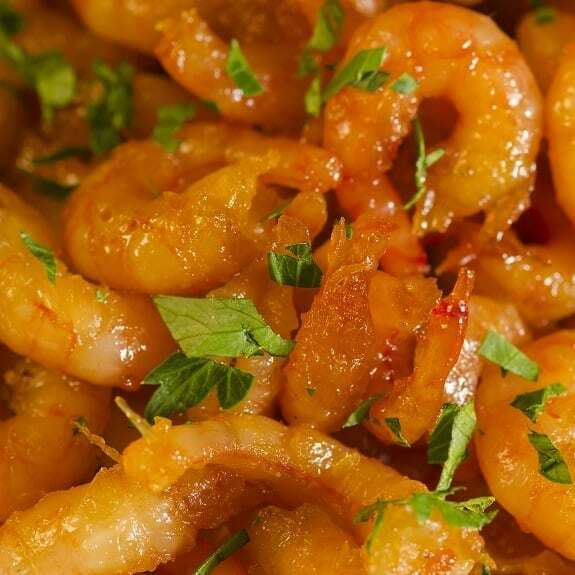 Brush the shrimp with remaining marinade before turning. 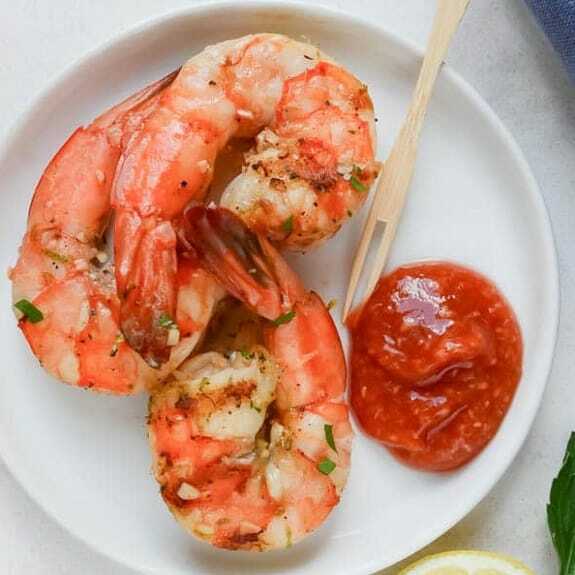 Serve pan-barbecued shrimp with lime halves.